Do you demonstrate harmonica in school? This was the question put to us by a Primary School in Essex. And the answer was you bet! They were holding their annual music week and were considering the harmonica as their special guest. Our experience in Primary Education served the occasion perfectly. Throughout the day, classes of children from Reception Year to Year 6 (KS1 and KS2) dropped in to the music room for a harmonica extravaganza. We can do the same for your school or youth organisation. Clicking fingers to the tune of Low Rider, children take their places and hear the harmonica for the first time. They are introduced to the history of reeds in music, starting with a blade of grass from the playground. Having plucked a ruler, they learn how free reeds are crafted from metal for durability and hear the Dan Moi (jaws harp) from Vietnam. It can talk like a robot. 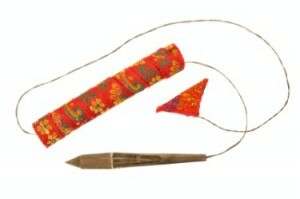 They also learn how a free metal reed can be breathed across to produce sound. How a series of metal reeds can be arranged to create a tin-sandwich (the harmonica). And finally how the harmonica, in all its shapes and sizes, can be used to make fabulous music. We take the harmonica on a musical odyssey around the world, dropping into Africa, Mexico, Germany, the USA and home again. 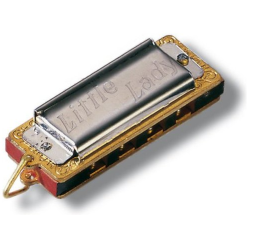 We see and hear the smallest harmonica in the world. We meet the first harmonica in outer space and play the Star Wars theme. To close, we hear the Allelujah song from Shrek played on the harmonica. After questions and comments time – How much do harmonicas cost? What’s the biggest harmonica? How many harmonicas have you got? Can you swallow one? Have you been on Britain’s Got Talent? – the children return to their classrooms serenaded by the Blues Brothers. 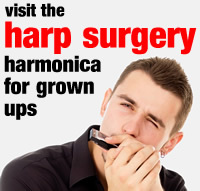 Can we demonstrate the harmonica at your School? Drop us an email or call us (see our contact page). We have full background checks, are members of the Musicians’ Union and have Public Liability Insurance. We have a Child Protection Policy and can provide a Generic Risk Assessment for our activities. We are also passionate about the educational value of harmonicas and music to children of all ages. Even grown up ones. We can adapt our visit, turning it into a taster session with harmonicas to take away. Workshops can also be arranged, with the content customised to your interests. Our standard rates are £50.00 per hour of work, plus travel expenses. Our minimum charge for all work is £50.00. We don’t currently charge VAT. If you need entry level instruments for your children, these will be charged as extra. In all cases, we’ll always do our best to fit your budget and time frame.